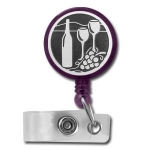 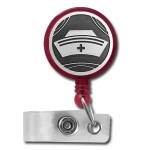 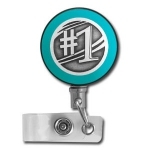 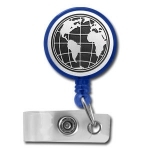 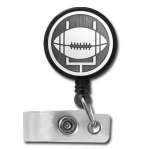 Find fun retractable badge holders you'll enjoy wearing to work! 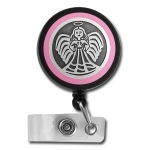 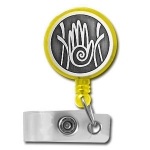 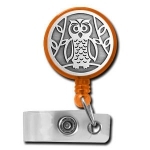 Choose from 500 unique retractable badge holder designs, 18 colors, silver, gold to express yourself. 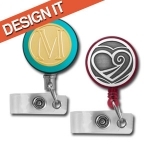 Show your creative side with cool ID badge reels personalized with thematic designs that represent your passions and interests. 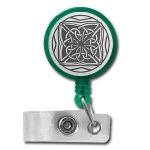 Personalize your ID badge holder with 500 unique designs, vibrant colors & clip type. 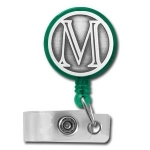 Find a variety of styles - from colorful holders made in the USA to strong reels with steel pull-out cords. 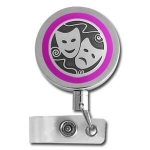 Buy the reel design that best expresses your lifestyle - each is customized to suit your style, whether round or square, silver or gold, classic black or a beautiful jewel-toned hue.